"One of the hottest properties in fantasy football scored another two goals on Sunday as he took his tally to the season to 10." Callum Wilson - £6.8m. The England forward ended a two match goalscoring drought by finding the net at the Etihad on Saturday and he looks prime to deliver some attacking returns at home to Huddersfield on Tuesday. The Terriers suffered a tough loss at home to Brighton and they had to play for an hour with 10 men. Expect Wilson to add to his seven goals and/or seven assists. You can back Callum Wilson to make it eight goals for the season at 5/4 on the Betfair Sportsbook. Jamie Vardy - £8.9m. JV scored his second goal in as many matches on Saturday, and while both of them were penalties, you still get four points for a spot-kick. Aside from that, he looked very good against Watford and there should be plenty of opportunity for Leicester on the break against a Fulham team who are still weak defensively. Felipe Anderson - £7.0m. I featured Anderson in my eight to like for Gameweek 14 and he duly delivered with a 10 point haul. A goal, a clean sheet and two bonus points at Newcastle superseded even my expectations and now he faces a Cardiff defence that have conceded 10 goals across their last four away games. Felipe Anderson is 8/1 to open the scoring at the London Stadium on Tuesday. Gylfi Sigurdsson - £7.4m. It was derby-day heartbreak for Everton at Anfield on Sunday but they will take some solace from the fact that they actually played quite well. They are back at Goodison Park on Wednesday and Newcastle looked poor at home to West Ham at the weekend. It's always a toss-up between RIcharlison and Sigurdsson when the Toffees have a decent fixture, but it's the Icelander who is edging the returns this year, and he also has a far smaller ownership. Marcos Alonso - £7.1m. Chelsea's defence have improved as the season has gone on and they have now kept four clean sheets in their last five in all competitions. Marcos Alonso is a key part of that, but he's also exceptional in the attacking third, and even though they are away this week, they are taking on a Wolves team who are badly out-of-sorts. Chelsea to win to nil is 2/1. Christian Eriksen - £9.2m. Spurs need to bounce back from their pulsating defeat at Arsenal on Sunday, but fantasy football doesn't care about the match result, and we should remember that Tottenham still scored two goals. The Dane assisted one of those and that came on the heels of two assists against Chelsea. A home match against Southampton looks very appealing on paper indeed. Riyad Mahrez - £8.5m. A new feature for the column is the punt and it's basically a player who has risks attached, but has the potential to score big. The inaugural pick is Riyad Mahrez and the risk is that he won't start. I have a feeling he will though, as he was left out of the XI against Bournemouth, and both Leroy Sane and Raheem Sterling have played a lot of football of late. Mahrez is hardly a reserve, so Guardiola won't worry about starting him, and the Algerian has scored on two of his last three starts in the league. Who City are playing is often irrelevant, but Watford away isn't too bad at all. A Riyad Mahrez brace is available to back at 7/1. Sadio Mane - £9.9m. The second new feature starting this week is the old fantasy adage of 'He's due'. We've all thought it - a player who has had a few blank weeks but still has a top pedigree and will start scoring again, sooner or late. Sadio Mane fits the bill this week as while the Liverpool attacker looked exceptionally lively against Everton, he failed to score a goal for the fourth successive league match. The Reds are at Turf Moor on Wednesday and while Klopp will likely make some changes, I would have thought that Mane will remain in the side. He's scored six goals this season and he's most certainly due. Romelu Lukaku - £10.7m. The big Belgian scored his first Premier League goal since GW5 on Saturday but United again looked a bit lacklustre, and they are taking on a red-hot Arsenal on Wednesday. Jose Mourinho's men are struggling for goals at Old Trafford, and they won't get much time on the ball against Unai Emery's Gunners. If you don't have him already, he's certainly not worth investing in. If you disagree with me, you can back Lukaku to score anytime at 13/10 on Wednesday. Roberto Firmino - £9.2m. Jamie Carragher was highly critical of Roberto Firmino's performance in the Merseyside Derby, and it's not hard to agree with him. In fairness to the Brazilian, he is being asked to perform a different role this season, but even when he's getting chances, he doesn't look like taking them. He has got three goals and three assists so far this year - which is sub-par for him - and I'm not convinced that he will start at Burnley. Pierre-Emerick Aubameyang - £10.9m. One of the hottest properties in fantasy football scored another two goals on Sunday as he took his tally to the season to 10. He isn't just a 'homer' either, as half of his goals have come away from the Emirates. 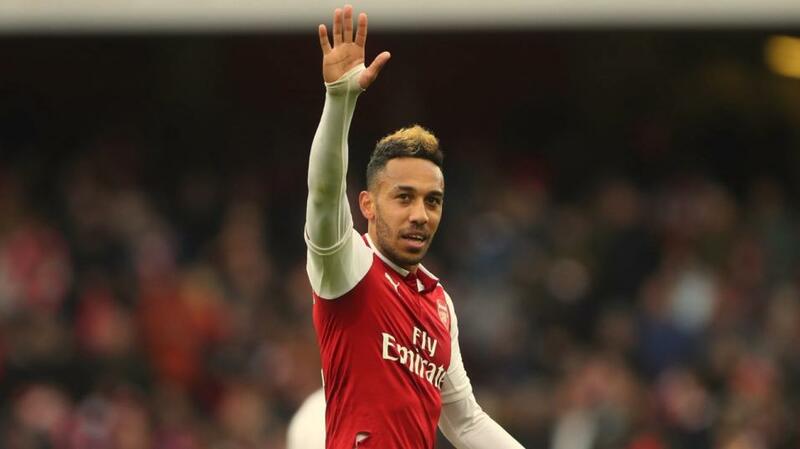 A trip to Old Trafford is never easy, but United are down to the bare bones at the back, and if Southampton can score two goals against them, I very much believe that Aubameyang can. The Arsenal striker is as short as 5/4 to net against United. *Remember the deadline to submit your teams for GW15 is 18:45 on Tuesday.